Which of Henry VIII’s wives was his best match? Henry ended his three-year marriage to Anne Boleyn by having her beheaded, but she is still the most compatible match for the infamous king, according to the findings from relationship website eHarmony. Tudor historian Elizabeth Norton carried out psychological studies of Henry and all six of his wives and this data was used by eHarmony to score each marriage’s compatibility. Factors considered included emotional temperament, social style and relationship skills. 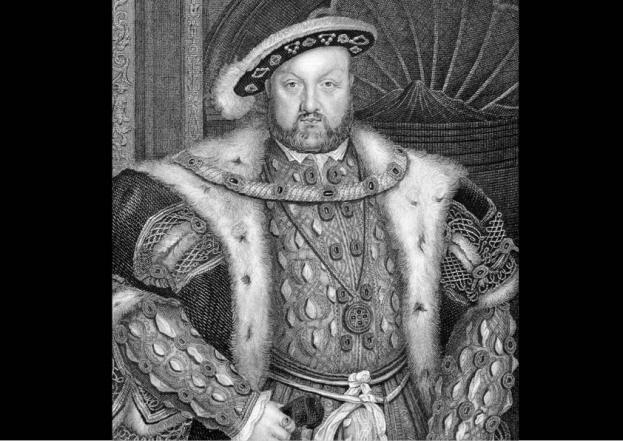 Few could claim any of his marriages were particularly successful anyway, but the results show Henry was incompatible with all six women. His aggressive personality, neuroticism and lack of compassion all made him less than a perfect match. But Anne tops the list due to their “similar libidos and high levels of energy and ambition” as well as their openness with each other. Despite the passion of the relationship, the suspicious and neurotic Henry had her head chopped off. Henry called his fourth wife, Anne of Cleves, a “Flanders mare” and they divorced within a year, but she proved the second most compatible. Next on the list was Catherine of Aragon, who was married to Henry for 23 years before he split with the Roman Catholic Church to divorce her. According to her profiling, their relationship may have been strained by her lack of interest in appearance and athleticism. Today, Jane Seymour is commonly regarded as Henry’s favourite wife – not least because she finally bore him a son – but she’s down in fourth place. It is likely Henry would disagree with the findings that she was not bold and outgoing enough, as she is the only wife buried with him. Catherine Howard’s “mismatched libido” makes her the fifth most compatible wife and Catherine Parr, for being too intellectual for Henry’s tastes, comes in last.